Branch locations 3402, Mazaya Business Avenue, Tower AA1, JLT, Po Box 634301, Dubai,UAE. Designer Indya is an inbound initiative by Travel Designer Group which offers you a hassle free travel experience to India. Designer Indya is the first choice of travelers. From Kashmir to Kanyakumari, Designer Indya excels in satisfying the needs our individual clients with our exceptional and unmatchable services. Designer Indya also operates as an off-site travel department, helping our clients to plan and organize cost-effective travel according to their wishes. We also give valuable advice on everything. From choosing the hotel that matches your requirement to reducing the environmental impact of your trip. And if you find yourself in dilemma‚ we'll help you with the first hand knowledge from the experts. Designer Indya specializes in matching unique people with unique places, and in providing the expertise and unobtrusive support that allows them to experience those places fully at first hand and in their own personal style. This requires a unique combination of local knowledge that only Designer Indya is equipped to provide. We have our branches all around India (Gujarat, Mumbai, Kerala, Bangalore) with multi lingual staff that have travelled and researched the places and products we offer. Designer Indya draws on the knowledge, humor and creativity of an incredible team of staff members to bring you face-to-face with rare species of wildlife; the tranquility of the Backwaters; the rich cultural heritage of India from the Indus Valley to the Mughal era and finally the British Raj and a lot more. At Designer Indya, our motive is to provide our clients with multifaceted tours covering each aspect of tourism. We offer North India tour packages, North east India tour packages, South India tour packages, Best holiday packages in India, India travel packages, East India tour packages, West India Tour Packages, Central India Tour Packages at best net rates. 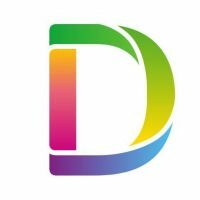 DailyTravel.com – Hotels, Holidays and Travel Services – Dubai, UAE. Travel Mind Car Rentals – Best quality of cars at affordable prices – Bengaluru, India. 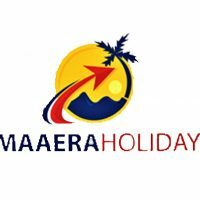 Maaera Holidays – Air Tickets, Hotels, Transfers, Visa, Tour Packages- Domestic & International – New Delhi, India. 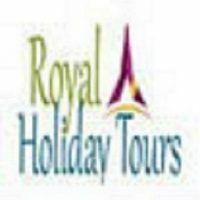 Royal Holiday Tours – Best tempo traveller rental service in Delhi-NCR – Connaught Place, New Delhi, India. Comfort Carz – Car for hire – Coimbatore, India.